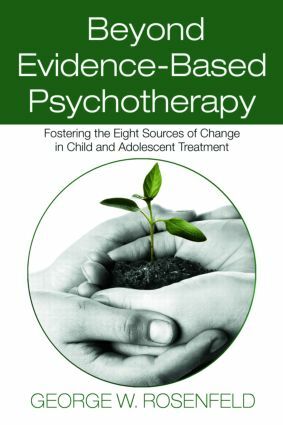 Beyond Evidence-Based Psychotherapy teaches students through a common factors point-of-view, combining research, case studies, multiple treatment orientations, and a perspective that describes the personal growth of a clinician’s career. It differs from previous texts in that it presents the recent research on psychotherapy in a format that is understandable, memorable, and relevant to student concerns, while integrating research and clinical experience to pragmatically guide clinical decisions. This book provides students of child and adolescent psychotherapy that are pursuing degrees in psychiatry, clinical psychology, social work, and marriage and family counseling with an insight into the practice of a child psychologist with 40,000 hours of experience working with thousands of clients and families. In the first part of the book, Rosenfeld presents 8 common factors of change in working with children and adolescents. The second part brings the reader through a "day in the life" of the author as he visits with a series of clients in various stages of treatment, bringing the material discussed in part one to life. What Are Reasonable Expectations for Psychotherapy? How Can I Keep Clients in Treatment so Th ey Can Benefi t? Has Being a Th erapist Been a Good Career Choice?